Question: Is HBsAg test is for jaundice test ? Answer: Hi dear! Hbsag is for checking of there is presence of hepatitis b antigen and jaundice occurs as a result of this antigen dear. Take care dear! Answer: Hi Dear! HBsag is HepatitisB surface antigen, if you hv a positive result of HBsag means you r infected with Hep B virus its risky fr the baby too hence Dr s advice needs to be followed diligently.. Hope this helps! Answer: hello.. dear HBsAg stands for hepatitis B surface antigen. HBsAg (also known as the Australia antigen) is the surface antigen of the hepatitis B virus (HBV). It indicates current hepatitis B infection in the liver.. Hepatitis C is a contagious liver disease that ranges in severity from a mild illness lasting a few weeks to a serious, lifelong illness that attacks the liver. It results from infection with the Hepatitis C virus (HCV), which is spread primarily through contact with the blood of an infected person. Answer: HBsAg stands for hepatitis B surface antigen. When a healthcare provider orders blood tests to determine if someone is infected with the hepatitis B virus, one thing he is looking for is HBsAg in the blood. If it is found, along with other specific antibodies, it means the person has a hepatitis B infection...A positive HBsAg test result means that you are infected and can spread the hepatitis B virus to others through your blood.In most people with acute hepatitis, symptoms resolve over weeks to months and they are cured of the infection. However, a small number of people develop a very severe, life-threatening form of acute hepatitis called fulminant hepatitis. Chronic hepatitis B is an infection with HBV that lasts longer than 6 months.A hepatitis B infection should not cause any problems for you or your unborn baby during your pregnancy. 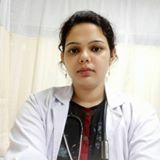 It is important for your doctor to be aware of your hepatitis B infection so that he or she can monitor your health and so your baby can be protected from an infection after it is born.hepatitis B in pregnancy should be referred for follow up care with a physician skilled at managing hepatitis B infection. Your physician should perform additional laboratory testing, including hepatitis B e-antigen, HBV DNA level, and liver function tests (ALT). A virus level greater than 200,000 IU/mL or 1 million cp/ml indicates a level where the combination of the birth dose of the vaccine and HBIG may fail. First-line, antiviral therapy with tenofovir may be recommended. Second-line antivirals include treatment with telbivudine or lamivudine . Antiviral treatment begins at 28-32 weeks and continues 3 months postpartum.ni need to worry as it is detected, it can be cured... Take necessary steps to cure it..